I love the "Rainbow" collection that was designed by the Brazilian jewellers H Stern. 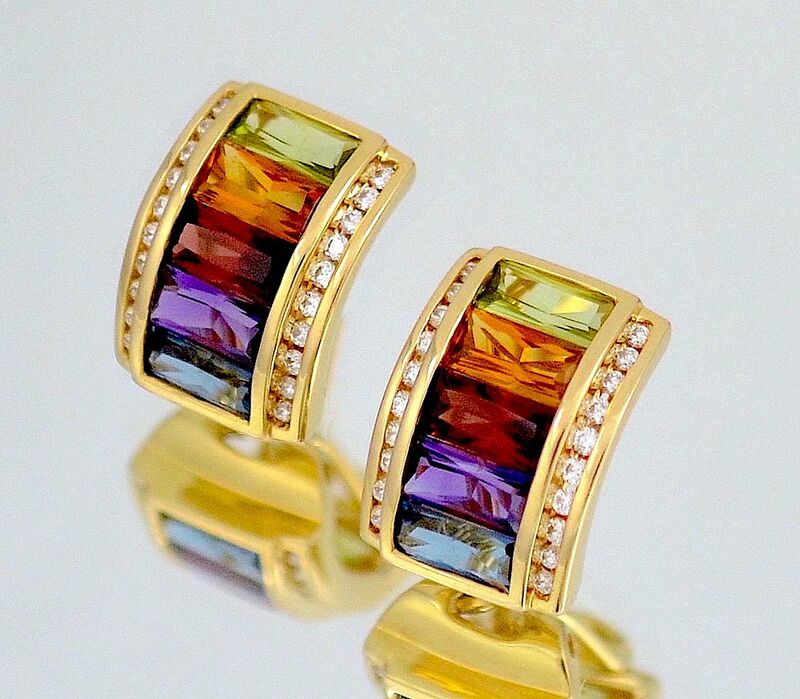 These 18ct yellow gold curved earrings are invisibly set with 6 rectangular gemstones, being & starting from the top, green tourmaline, citrine, garnet, amethyst & topaz. The edges of each earrings are channel set with round diamonds. There is a post and Omega clip for pierced ears. Marked "750" for 18ct gold & "HS" for H Stern.